Can Patents and Open Source Hardware Coexist? I think so. But it requires more than broadly worded promises - especially when it comes to defensive patents. This post is inspired by Ultimaker’s announcement (both in a blog and forum post) that they were filing their first patent. Before getting into why I think patents and open source hardware can coexist, I should mention a few things. First, nothing in this post is intended as a criticism of Ultimaker. Open source hardware is relatively new and I don’t think that anyone is in a position to say that they have the one true path for making openness work in hardware. I’m glad to see Ultimaker be public about their approach and I hope that they continue to be successful (and transparent). There must be room for experimentation in open source hardware and experimentation means trying new things. Second, Ultimaker’s relationship to open source hardware has always been and continues to be an interesting one (in a good way!). They released all of the files for the Ultimaker 2 on github (great! ), but used a license that restricted commercial uses of the files (not as great, at least according to the standards of the OSHWA-maintained community definition!). Were they so inclined, that restriction would prevent them from getting OSHWA certification for the Ultimaker 2. How much that matters is in the eye of the beholder. As I said, there are still many trails to openness being blazed and I try not to be religious about which one is right. Third, and finally, this post is meant to be less a specific analysis of Ultimaker and more of an attempt to use Ultimaker’s announcement as an excuse to think about these things. Is there an inherent conflict between being an open source hardware (oshw)-oriented company and getting patents? I don’t think so. There is nothing about having a patent that necessarily conflicts with being open, just as there is nothing about having a copyright that necessarily conflicts with being open. They are both types of intellectual property rights that can be used to restrict others. But they don’t have to be used in that way. Along those lines, I think it would be fairly uncontroversial if an open source hardware company decided to license their patents under a patent license styled after a Creative Commons Attribution license, where anyone could use the patent as long as they provided attribution to the patent holder. Those are essentially the types of restrictions that CERN and TAPR-style licenses attempt to impose. If that type of condition is allowable in the copyright world I don’t see why it should not also be allowable in the patent world. The more interesting question might be if an oshw company decided to apply some sort of defensive-oriented license to their patent. These sorts of arrangements don’t work with patent trolls who are not actually operating in the business world. Patent trolls aren’t really doing anything (besides trollin’) so it is unlikely they are infringing on the defensively held patent. They can work in a market with bona fide competitors who have shown a willingness to sue new entrants (like, to pick a market totally at random, the desktop 3D printing market) and who might be convinced to hold their fire if they thought the target of their patent infringement lawsuit had some patents of its own to use in a countersuit. Conceptually, it would seem reasonable to continue to think of oshw companies as open even if they have patents they are keeping for defensive purposes. While this sort of conditional permission (”here is a license to my patents WHICH I WILL REVOKE IF YOU SUE ME FOR PATENT INFRINGEMENT so let’s all chill”) might possibly conflict with point 10 of the open source hardware definition (license must not be specific to the product), there is room for debate there. At a minimum I’m skeptical that it violates the principle that point 10 is trying to embody. That approach comes with at least one big caveat, however. It does not seem enough to simply say that the patents are being used for defensive purposes. Instead, the company would have to clearly define what “defensive” means and bind itself to that posture. The most logical way to do that would be with a license. That way others could make use of the patent knowing that they have a legally robust set of permissions from the patent owner to do so. 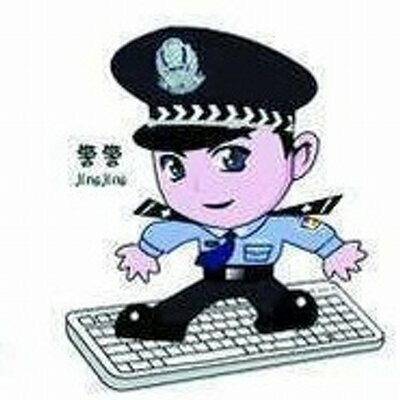 It would be clear what is allowed and what is prohibited, and when a user might run into trouble with the patent owner. It is here that I think some of these attempts to be defensively open with patents fall down. I don’t think that a blog post that essentially says “you are cool as long as we think you are cool” quite cuts it (again, I’m not focusing on Ultimaker here - Tesla has a similar approach which also causes some confusion). It would be much better if a company trying to be open with patents actually bound itself to that promise with something like the defensive patent license. Unfortunately we aren’t seeing that quite yet. Right now the good news is that we are seeing companies trying to be more flexible with open promises around their patents. And on some level the reluctance to formalize rules this early in the game are understandable. After all, no one quite knows how this stuff will shake out under pressure. Unfortunately, that reluctance means that we don’t know how good that news really is until those promises are tested in some way or another. A license would make it easier to evaluate the promises, but that’s not something we have the luxury of seeing in the wild yet. And until we see a real license, I’m wary of giving anyone too much credit for handling their patents well. That’s because it isn’t easy to evaluate how they are handling their patents at all. Which means we continue to wait and see. It would be great if someone like Tesla or Ultimaker decided to step up and propose a real defensive open source hardware patent license. Right or wrong, that would give everyone a firm benchmark to use in thinking about these things. In the absence of that we are stuck in a somewhat theoretical discussion. At this point the best we can say is that defensively holding patents probably should not categorically disqualify a company from being open source. It remains to be seen if there is a good way to execute that in real life.